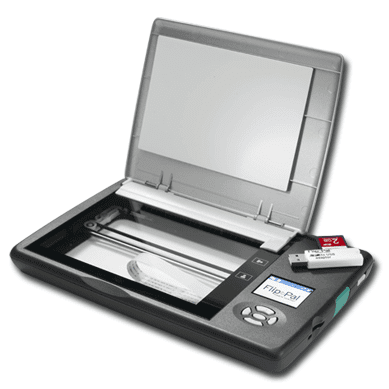 I had mentioned in the last post about the amazing ability to take a Flip-Pal scan and turn it into amazing embroidery so you should be well aware that theFlip-Pal is no ordinary scanner. It is one of those new gadgets thatcomes along ever so often that surprises people and makes them wonder how thegot along without one. You will certainly be scratching your head andasking yourself the same question after you purchase the Flip Pal. The list can go on and on but this is a great start. Your applications for use of the Flip-Pal scanner are endless and I am sure customers will come up with many more ways to apply this Flip-and Scan Technology that has been patented by the Couragent Company.